Thursday we learned that Michael Mayer's revival of On a Clear Day You Can See Forever will close on January 28. The show, which has a lovely score, great scenic and lighting design and a knockout performance from Jessie Mueller, just didn't connect with (most) critics and audiences. But, the St James Theatre won't be empty for long. When producers announced On a Clear Day's closing, they also announced Leap of Faith's opening. The musical adaptation of the Steve Martin film (which had a regional run in LA a couple years ago) will begin previews on April 3 in anticipation of a late April opening (just in time for the Tony eligibility cut off). But that's not even the best part. The best part is that Raul Esparza (Arcadia) will be starring! (My sources say Esparza was terrific in California.) If you've never seen Esparza perform, you don't know what you're missing. He's a force on stage. Check out the recording of the 2006 Company revival or watch the PBS taped performance of the same production on Netflix. Tickets will be available beginning January 23. Foo Fighters will perform on the Grammys, which airs Sunday, February 12, at 8pm on CBS. The Directors Guild of America (DGA) Award nominees were announced this week. 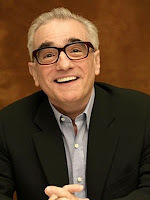 Vying for the top prize on the feature film front are Woody Allen (Midnight in Paris); David Fincher (The Girl with the Dragon Tattoo); Michel Hazanavicius (The Artist); Alexander Payne (The Descendants) and Martin Scorsese (Hugo). Visit dga.org for the full list of nominees in all categories, including television, as well as information about each nominee's DGA Award history. Also announcing nominees this week was the Gay & Lesbian Critics Association, which will hand out its Dorian Awards on January 16. Broadwayworld.com has a full list of nominees, including cheeky categories like "Campy (Intentional or Not) TV Show of the Year." The rules for Oscar's Best Documentary category are changing, and Michael Moore is weighing in. The National Board of Review announced its winners and held a gala for them this week. Winners include George Clooney and Shailene Woodley for The Descendants; Hugo (Best Director, Martin Scorsese, and Best Film); Will Reiser for 50/50; Christopher Plummer for Beginners; Michael Fassbender for his breakout year (including Shame); and slates of other independent and studio films. Visit nbrmp.org/awards to view the full list of honorees, and Broadwayworld.com for photos from the gala. The Critics Choice Awards were handed out on Thursday. Aside from the winners, the highlight of the evening was definitely the Martin Scorsese tribute that included Bob Dylan, Olivia Harrison and Leonardo DiCaprio! The Golden Globes will be handed out this Sunday night!!! (Missed the nominations? Here you go.) 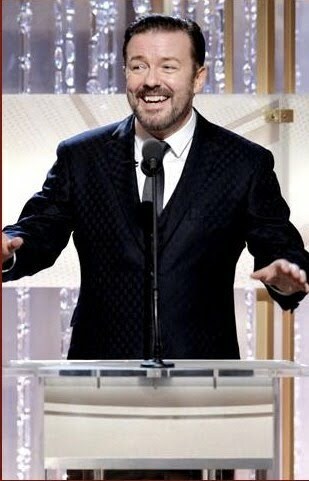 The first of the three major televised award shows of the season (Globes, SAG and Oscar), the evening will be hosted by Ricky Gervais (again!) and presenters include Jake Gyllenhaal, Clive Owen, Angelina Jolie, Brad Pitt, Seth Rogen and Reese Witherspoon (and many more). Visit goldenglobes.org for all things Golden Globe, including this nifty Globes trivia page. Check back here on Monday for my Golden Globes wrap up. Cheers! Who will win? Over at GoldDerby.com is a list of ten upsets that just might happen, like Ryan Gosling winning for Crazy Stupid Love. EW.com has a Golden Globe fact sheet, full of trivia, facts and figures. More fact and figures, this time from GoldDerby.com. And from Foodista.com, what the stars will dine on during the ceremony. New York City Ballet will kick off its winter season next week! There are some great programs set for the season, including the one I'm most looking forward to: an All Wheeldon night, which includes Polyphonia, the NYCB premiere of DGV: Danse a Grande Vitesse and a world premiere! I'm so excited about this night that I could burst. In anticipation of the season and the All Wheeldon night, Playbillarts.com teased us this week with City Ballet principal dancer Wendy Whelan's reflections on the incomparable Christopher Wheeldon, including their collaborations on Polyphonia, Liturgy and After the Rain. Jessie Mueller, the breakout star of On a Clear Day You Can See Forever, recently spoke to Broadwayworld.com about making her Broadway debut. Emma Stone, Andy Samberg and Will Arnett will make guest appearances on the new season of 30 Rock, which premiered this Thursday. Lin-Manuel Miranda presented The Hamilton Mixtape this week. I couldn't snag a ticket, but I've seen clips and it is insanely good. (He's still shaping it, aiming, at the moment, for a concept album.) Get into it. The first clip below is from Wednesday night; the second is from a performance Miranda gave at the White House Poetry Jame in May 2009.